Registration for Transparent Teaching: A Focus of This Year’s Inclusive Teaching @ Michigan Series now open! Sessions run May 13th through May 17th. Register for one or many! Join us on Monday, May 6th, for the opening Poster Fair & Strolling Breakfast which highlights the work of the 2019 Provost’s Teaching Innovation Prize winners and the CRLT Faculty Development Fund and Whitaker Fund grant recipients. The poster fair will be followed by Dr. Saundra McGuire's keynote address and workshop. Additional workshops will be available throughout the week. All sessions are free, but require registration. Six faculty members have been recognized for outstanding contributions to undergraduate education as this year's Arthur F. Thurnau Professors. Looking for innovative teaching techniques? 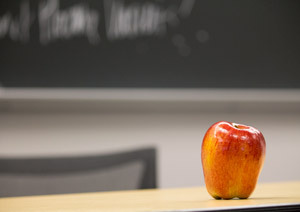 Click here for examples of excellent teaching by U-M instructors. Inclusive Teaching HOTLINE: Call CRLT at 734-764-0505 to talk about diversity, equity, and inclusion in your teaching. CRLT can help instructors respond to racially charged campus events and tense moments in the classroom. Open 8am-5pm, Monday - Friday. After hours voicemail returned ASAP. Founded in 1962, CRLT was the first university teaching center in the world! As an instructor at U-M, how can you contribute to a campus climate where all students feel valued and fully supported as members of our academic community? This is the key question behind the upcoming Inclusive Teaching @ Michigan workshop series, which will be held for the first time this May. 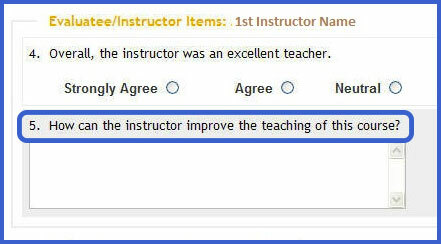 As we approach the end of the term, students will be asked to provide feedback to instructors using U-M's course evaluation system. At CRLT, we often hear from faculty and GSIs who are discouraged about a number of issues related to student ratings, including the tone of some written comments, relatively low response rates, and uncertainty about how best to use the results productively. This post provides some resources for each of these concerns. GSIs across campus are being recognized for their excellent teaching. CRLT warmly congratulates winners of Rackham's Outstanding GSI Award and the College of Engineering's Richard and Eleanor Towner Prize for Outstanding GSIs. Selected from large pools of nominees, all of these instructors have demonstrated extraordinary commitment, creativity, and overall excellence in their teaching. The four Towner awardees were honored at the College of Engineering's Student Leaders and Honors Brunch on Sunday, March 20. Rackham will be hosting a public awards ceremony to honor its twenty prize-winners, along with outstanding faculty mentors, on April 14. For more information, including the names and departments of all of the winners, see this Rackham page and this College of Engineering page. How Do We Teach About Privilege? In October 2015, CRLT hosted a U-M faculty panel that addressed challenges and strategies for teaching about difference and privilege. In this post, we spotlight some key moments when faculty described tensions or difficulties, and we suggest strategies for leveraging these for student learning. What happens when discussions about race and privilege turn silent? Faced with the dynamic described above, Young asked students to turn their lens to analyzing the silence they were experiencing by writing a minute paper on the stalled conversation: "What's the problem right now with the conversation on white identity?" After writing for 3-5 minutes, he finds students are more likely to voice their thoughts out loud. For silent or superficial discussions, Helen Fox (2009) also recommends having students write on an index card, "One thing I've been reluctant to say....," which serves as a prompt for follow-up discussion.